Installing a new roof on your home is a large investment. A new roof can costs thousands of dollars and most roofs are designed to last 15 years or more. However, one thing that many people don’t understand is that there are roofing maintenance requirements on their roof which can help it last longer. 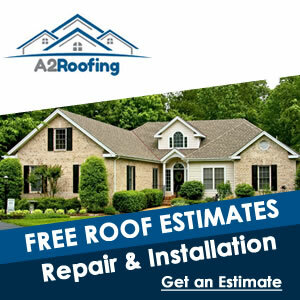 Getting regular roofing maintenance on your home’s roof is important and you should make sure your roof in Canton Michigan is protected with regular roofing maintenance. Having a new roof installed on your home can give you a peace of mind knowing that your home is protected. In fact, most roofing materials today are designed to last more than 25 years. Making sure your roof in Canton Michigan lasts that long however, means you will need to make sure that you perform regular maintenance. That doesn’t mean you need to sweep the roof or pressure wash the roof. In fact, roof maintenance is relatively simple for the home owner. It’s as simple as looking at the roofing surface for problems and getting regular roof inspections on the home. The old adage of an ounce of prevention is worth a pound of cure is also the same for roofing. Preventing a problem with your roof means that you can stop a roof leak from happening. And since a roof leak can damage the interior of your home prevention of a roof leak can save money by not allowing the roof leak to occur initially. So getting regular roofing maintenance in Canton Michigan is important because it can prevent these problems. At least once per month and after major storms it’s important to go out and take a look at your home’s roof. That doesn’t mean going onto the home’s roof because it’s very dangerous and not advised to go onto your home’s roof. Instead look at the roof from the ground. Look for problems such as broken shingles, debris buildup on the roof, and things that look a bit out of place. During large storms with higher winds there is a good chance for shingles to be broken from the roof. Most roofing materials installed today are designed to last from 15 to more than 40 years. Of course, to achieve those numbers you’ll need to make sure the roof is taken care of. When there is a problem on the roof it needs to be repaired as it occurs. Regular roofing maintenance in Canton Michigan is the best way to make sure your roof lasts a long time. Some of the roofing material manufacturers will attach warranties to the roofing products that they sell. However, in order for that warranty to be honored the roof will need to be regularly inspected and maintenance performed on the roof. If there is a problem with the roof that should of been repaired and left it can affect the warranty of the home’s roof. In fact, you may have the warranty completely void if you fail to properly maintain the roof. So be sure to get regular inspections on the roof and make sure any problems are repaired to protect the warranty on your new roof. When there is a roof leak in your home it can allow water to enter the home and cause all sorts of damage to the interior of the home and to the furnishing of the home. Getting regular maintenance on the roof can prevent roof leaks from occurring and it allows you to better protect your home from roofing problems. Consider the damages that can happen and the cost of repairs when it comes to just one single roof leak in your living room and you will quickly realize just how important getting regular roof maintenance in Canton Michigan is. Call a professional roofing contractor in Canton Michigan today to get a roof inspection of your home. One of the best roofers in Canton Michigan is Tittle Brothers Construction. Call Tittle Brothers Construction today at 734-225-2525 to schedule your roofing inspection on your home.